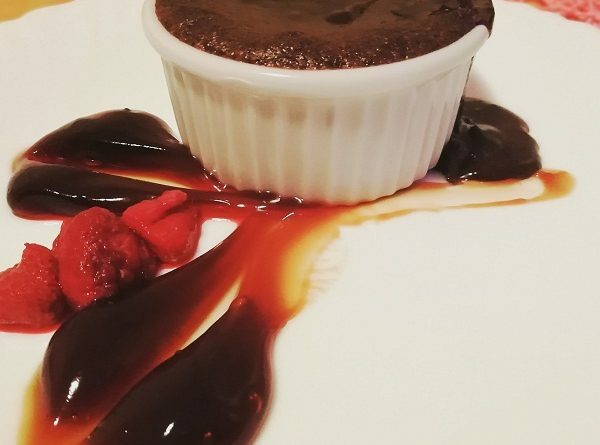 A deliciously rich low carb chocolate keto lava cake with a gooey molten centre. With only 5 ingredients, you can make this perfect keto and sugar-free dessert! Keto and diabetic-friendly. Beat eggs with a mixer. Add to the chocolate/butter mix together with almond flour and sweetener and stir. You’ll get a dough-like consistency that is pourable. Bake 8-9 minutes until the top is set but still jiggly. If you use 100% unsweetened chocolate, you should add 3 1/2 tbsp sweetener.